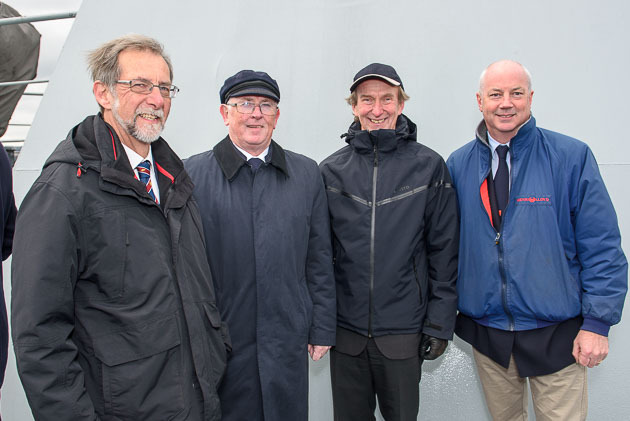 Details of Volvo Cork Week 2016, were announced today at a delightful event on board the L.É. 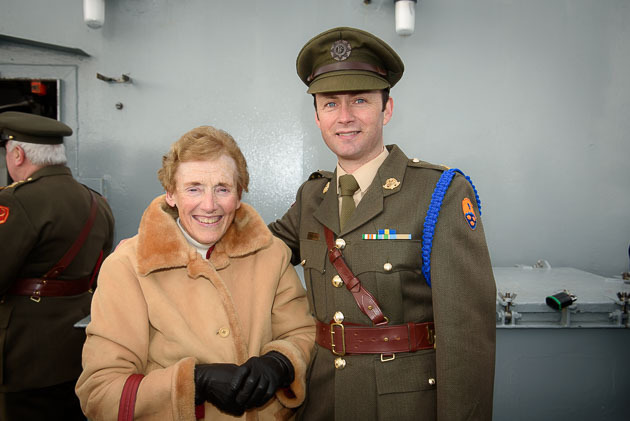 RÓISÍN, of the Irish Naval Service under the command of Lt Cdr Ultan Finegan in association with the Royal Cork Yacht Club. Held on a biennial basis, Volvo Cork Week is a Grand Prix sailing event and is renowned, worldwide, for exciting and challenging racing. To be able to celebrate the launch on board the L.É. 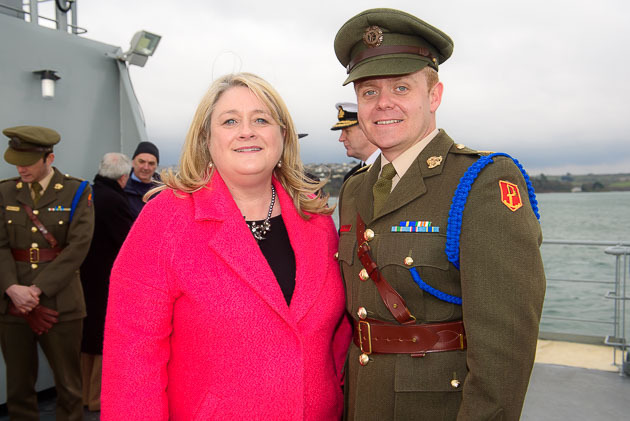 Róisín courtesy of the Irish Naval Service was indeed very special and much enjoyed by the dignitaries and the guests present. 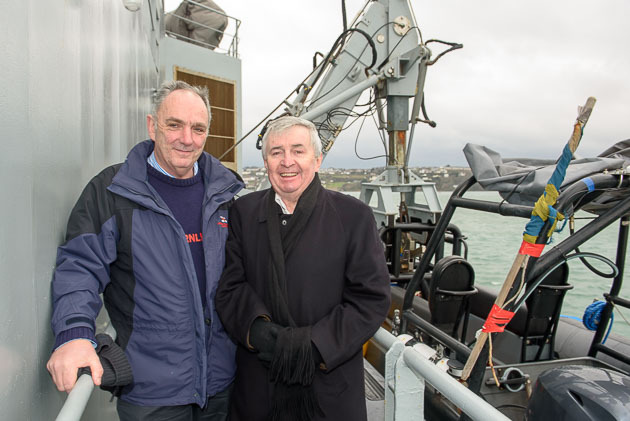 Chairperson of Volvo Cork Week, Kieran O’O’Connell, Rear Admiral Keelboats Royal Cork Yacht Club said “After the hugely successful official launch of Volvo Cork Week 2016, to include the IRC European Championship and the Beaufort Cup, on board the L.E. 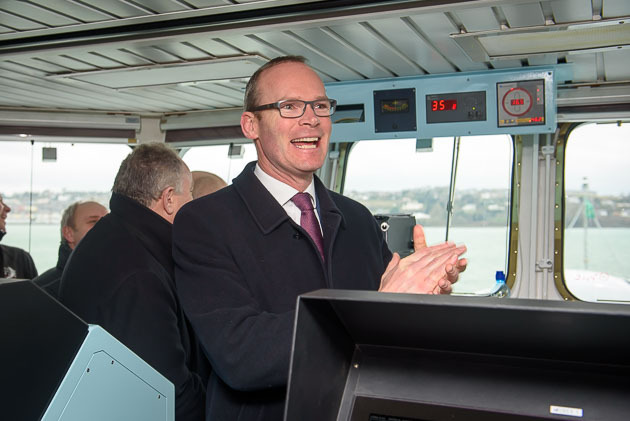 Róisín, he was feeling very confident that Volvo Cork Week 2016 will be a unique and exciting event, both on and off the water. 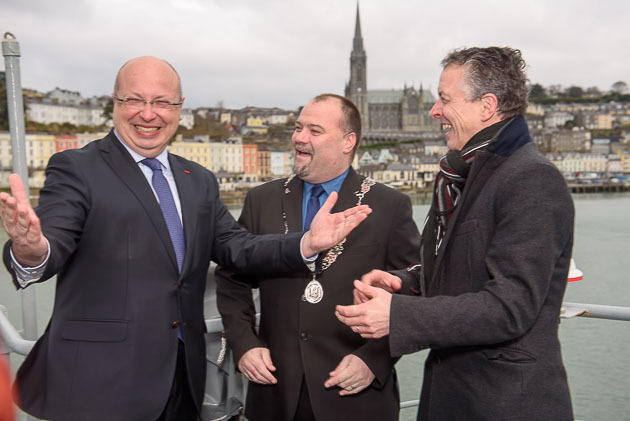 It is a great achievement for Ireland to be given the chance to host an event of this calibre and we need to make it an event that will set the standard for future years.” said Kieran O’Connell, Chairperson of Volvo Cork Week. Volvo Cork Week 2016, will place from July 10th to 15th, and primarily attracts sailors for the quality of its racing. This year’s racing includes a new event, the IRC European Championships, which will be an event in itself, based on the platform of Volvo Cork Week. The first edition of the RORC IRC National Championship took place in 2000, and has done so every year since. There are now seven IRC National Championships throughout the world, but up until now, there has been no continental event. The intention is for the IRC European Championships to be held at a different European location annually. 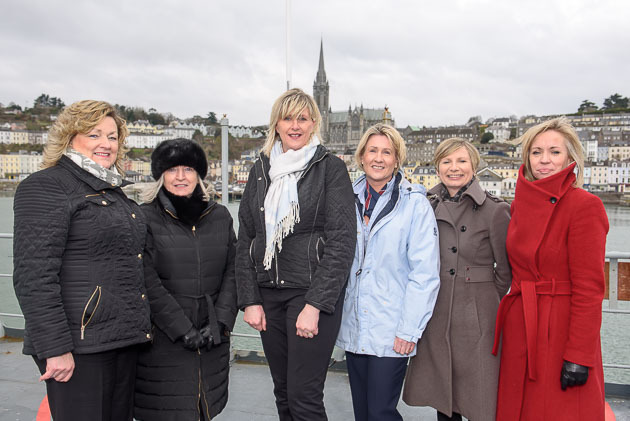 The fact that the Royal Cork Yacht Club has been selected to host this inaugural IRC European Championship is a huge honour and reflects the esteem in which the entire Volvo Cork Week Organising Committee are held. This year’s event will also feature the inaugural Beaufort Cup, which invites sailing teams from their associated national services to race. 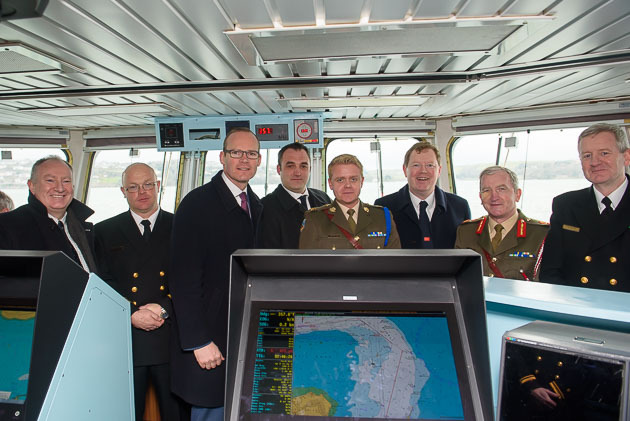 The Beaufort Cup, supported by the Irish Defence Forces and part of a series of Irish Government commemorative events in 2016, hopes to develop bonds between national team members and international colleagues: 50% of each team must be active in any service they represent and it is anticipated that defence force teams from a number of countries will compete and also other services such as Police, Fire, Rescue, RNLI and Coastguard. 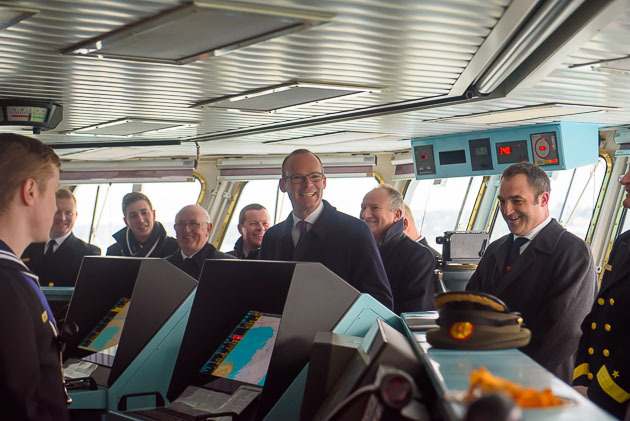 Amongst the distinguished attendance was the Minister for Agriculture, Food,Marine, and Defence, Simon Coveney, himself a life long member of the Royal Cork Yacht Club who announced the official launch. He gave a very interesting talk On the Beaufort Cup. 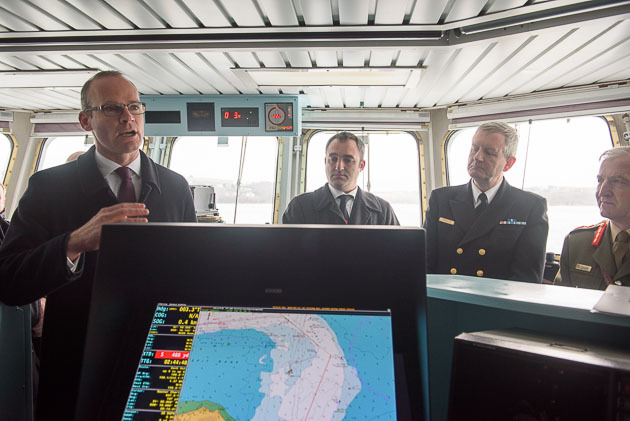 He also said how much he would like to sail in Cork Week 2016 but that would depend on how busy he might be at the time. The smile on his face said it all and he got a great cheer and applause for that. 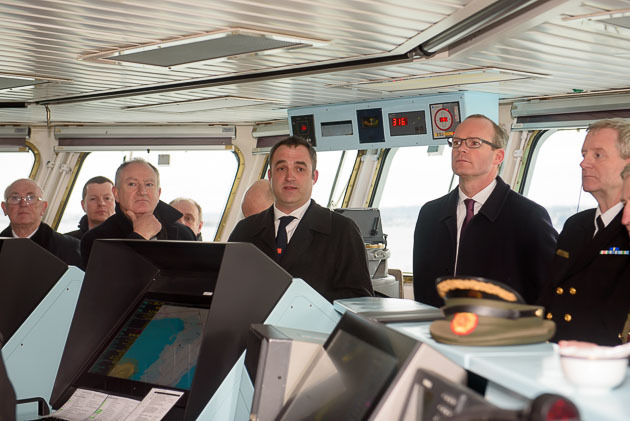 He has the gift of always speaking in a most interesting way and today was no exception He also spoke about his three special interests, Cork Harbour, Sailing and the Navy. Also present amongst the distinguished gathering was the French Ambassador to Ireland, Monsieur Jean Pierre Thébault, who also spoke very interestingly about the Beaufort Cup and its history and connections with France and Cork. 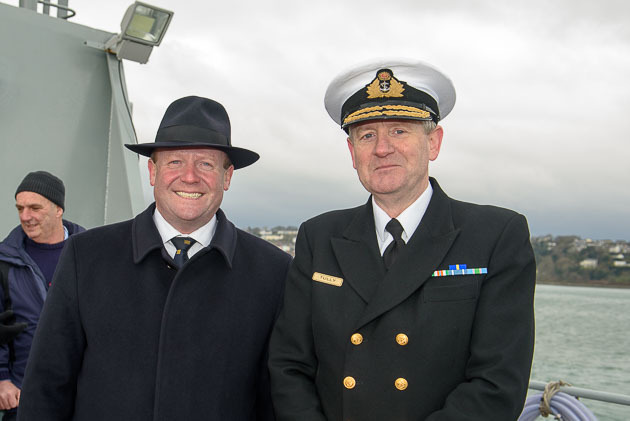 Major General Kieran Brennan of the Beaufort Cup, Deputy Chief of Staff Operations, also spoke about the Beaufort Cup and it surely appears this is going to create great interest during Volvo Cork Week. 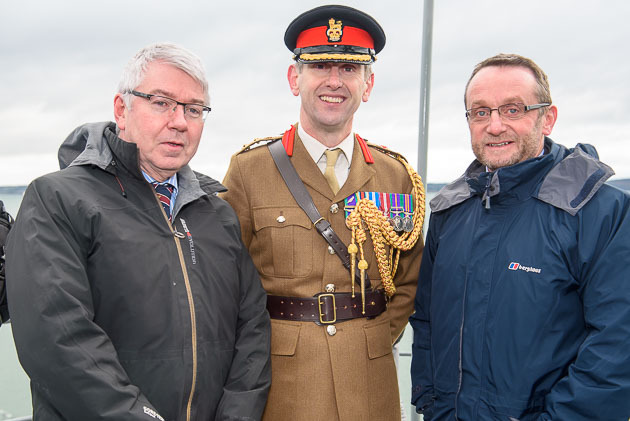 Also present was Colonel Max Walker, British Defence Attaché, representing the British Ambassador to Ireland His Excellency Nicholas Chilcott. 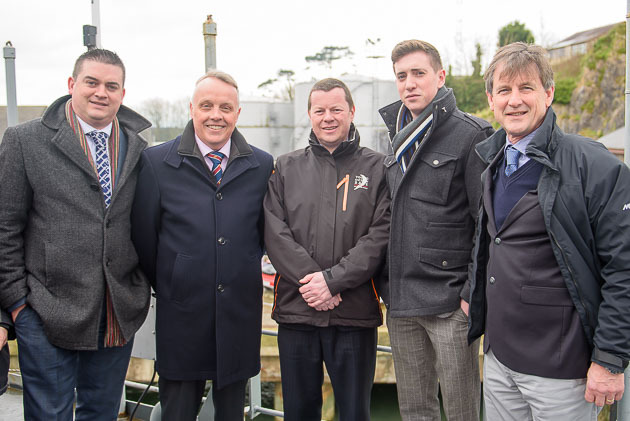 Representing the Royal Cork Yacht Club were Admiral John Roche, Vice Admiral Captain Pat Farnan, Hon Treasurer, Pat Harte, Rear Admiral Dinghies Stephen O’Shaughnessy, Simon Brewitt, Chair Marina and Facilities Committee and Michelle D’Arcy, Chair Bar, House and Communications Committee. Also returning in her capacity as Co-ordinator of Cork Week is the ever popular and very experienced April English. Taking over as Director of Racing for 2016 will be Royal Cork’s well known and highly respected Ronan Enright with Mike O’Connor, well known International Judge and Umpire, acting as PRO. This year, to whet the appetite, some of the boats already entered include Anthony O’Leary’s new. Ker 40 flying machine Antix. Anthony has been Captain of the successful Irish Commodores Cup Team on two occasions and has enjoyed successes too numerous to mention here. Tim Goodbody’s new J109 White Mischief from the RIYC will be showing her paces, Paul and Deirdre Tingle will also compete in their new X34 the latest Alpaca.. Ronan Harris from the RIYC will sail his J109 Jiga Maree, Paul O’Higgins also RIYC and another very well known and successful sailor has also entered. Kinsale Commodore Tom Roche will sail Meridian a Salona 45. Charlie Frize formerly a 1720 sailor will sail his Mills 36 from The Clyde Royal Northern and Clyde Y.C. French sailor Eric Gicquel will sail ‘Black Jack’ from Saint Malo. In 2014 some Viper 640s took part and in 2016 this fleet will be augmented and will compete with the Royal Cork 1720 fleet.